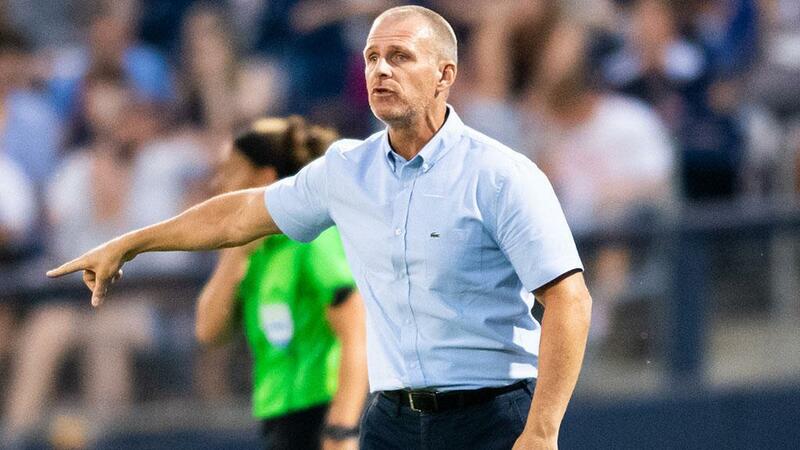 During his time as a Head Coach in North America, as much success as Nashville SC’s Gary Smith has produced at his previous stops – including winning MLS Cup in 2010 with the Colorado Rapids – it’s probably fair to say his sides haven’t immediately roused images of high-flying, attacking soccer. The numbers would seem to bear that out, too. Across seven seasons with the Colorado Rapids, Atlanta Silverbacks and Nashville, the highest regular-season goals total produced by a Smith-led side has been 46 in 34 games with the Rapids in the 2011 MLS campaign. This year, though, the experienced Englishman is hoping to write a different chapter. With a loaded attacking group that includes not only 2018 USL Championship Golden Boot Cameron Lancaster, but also 20-goal scorer Daniel Rios and consistent attacking threat Kharlton Belmar, NSC’s offensive firepower has moved it into the frame as one of the leading contenders for the USL Cup at the end of the 2019 campaign. Of course, talk like that in preseason is one thing, putting it into action is another. As Nashville prepares to open training camp this Monday, Smith is ready to do the work that will translate the team’s potential on paper into tangible results on the field. The type of determination Smith points to as key had been a hallmark at his previous stops and was evident as Nashville reached the USL Cup Playoffs in its inaugural season behind a tenacious defense that conceded just 31 times, the second-best defensive record in the regular season. The side also gave 2018 regular-season champion FC Cincinnati a run for its money in the Eastern Conference Quarterfinals, taking the game to a penalty shootout before falling to their future MLS rival. But that defensive success masked the attacking difficulties the side had over the season. Nashville’s 42 goals were the fewest of any postseason side a year ago, with the club’s conversion rate of just 12.43 percent falling more than two percent below the league average even though it was above average with 9.8 chances created per game during the regular season. The fact the side was usually able to create chances consistently was a silver lining for Smith this offseason as he looked back at the club’s first professional season with his staff. It also brought to the fore the need to upgrade the club’s front line, and in Lancaster (24.75 percent conversion rate), Rios (32.79 percent) and Belmar (23.81 percent) the side added players with impressive track records of finding the back of the net. The trio has combined for 98 goals across the regular season and USL Cup Playoffs in their careers, and while past performance isn’t always an indicator of future success, the role of a leading forward in a club’s success can’t be overstated. Smith’s 2010 MLS Cup-winning Rapids side certainly had a pair of strikers that lived up to their side of the bargain in Conor Casey and Omar Cummings, who combined for 27 of Colorado’s 44 regular-season goals to put both players in the top six in the league’s race for the Golden Boot. As potent as that duo was at the MLS level, with Casey scoring 71 times at a rate of a goal every-other-game in his top-flight career, Smith believes the talent he has at his disposal in Nashville is among the best he’s had in his career. That means the expectations for Nashville this year may not just to be successful and make a run at the USL Cup, but do so in the sort of style that a similarly loaded FC Cincinnati did a season ago before it made the move to Major League Soccer this offseason. FCC’s 72 goals were the second-highest regular-season total in the league’s history, and the side saw four players record double-digit goals as it claimed the regular season title. Matching that level of performance would certainly be an impressive feat for Smith’s side, and given the potency the likes of Lancaster, Rios and Belmar bring, it might not be out of the realm of possibility. Given the parallels between their respective situations, Smith certainly is expecting his side to be measured against FCC’s at times this season but he’s looking forward to the job of maximizing the talent at his disposal, and maybe changing some perceptions as well.